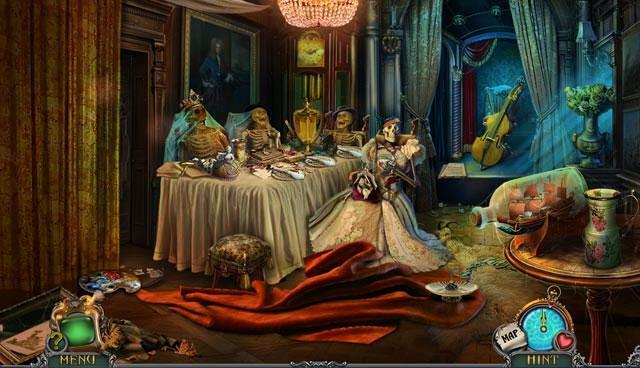 Oceń ten Artykuł While the younger kids are out trick or treating, maybe you could kick back and relax with some amazing Halloween-themed hidden object games that we’ve dug up specially for you this upcoming Halloween. Halloween’s just around the corner. If you need some fun hidden object games to get you into the mood for the Trick or Treating that’s about to come, we might just have the game for you! For the Halloween season, the first thing that comes to mind, aside from creepy carved pumpkins, is definitely Trick or Treating. This is the part not only kids can enjoy, adults do too since they will get to see that delightful smile when they hand the candies out to kids and well... they will also have a very valid reason to binge on “leftover treats”. That said, to get into the spirit of Trick or Treating, we would like to present to you this brilliant hidden object game, Halloween: Trick or Treat 2. Dive right back into the spooky town of Springfield and have fun looking for a variety of hidden objects in its many eerie locale, ranging from the Haunted Hotel to a recreated version of Dracula’s Castle (everyone knows the real one is in Transylvania). Crammed full of cleverly hidden items, Halloween: Trick or Treat 2 is THE hidden object game to play in this Halloween season! As if expertly crafted pumpkins are not creepy enough, they had to go and turn these pumpkins into evil pumpkins too. In this amazing hidden object game, Evil Pumpkin: The Lost Halloween, you play a little boy who has been looking forward to this year’s Halloween (mainly due to all the candies involved) only to have “something” happened to it and nobody is willing to tell you anything! Feeling indignant, you turned to the only sympathetic ear in town, the scrappy, funny and possibly mad Lemuel Barnabas for help. With Barnabas in tow, you will get to take things into your hands and dig out the truth on the lost Halloween! This is honestly as whimsical a Halloween-themed HO game as it can get. So, if you enjoy HO games with humor, Evil Pumpkin: The Lost Halloween is definitely a must-buy! You’ll be able to purchase this game along with over 100 other Halloween-themed Big Fish games for $3.99 today, but if you wait a bit longer, you can get them for a mere $0.99 on Halloween day. #3 Do You Believe in Ghosts? Halloween’s famous for its element of horror. So, for this Halloween, let your very core be rocked with this incredibly immersive hidden object game, Tales of Terror: Estate of the Heart. In this game, you play as a conflicted young fellow who’s trapped between the logics of science and the mysteries of the unknown. With your best friend, a true believer of ghosts, and your father, a very grounded man, you enter the so-called haunted Heart Family Estate to uncover its secrets and to possibly support or debunk the rumors that surrounds the estate. The game has an expertly crafted gameplay and storyline that’s sure to impress. You’ll definitely be pulled into the world of the paranormal in Tales of Terror: Estate of the Heart, that’s for sure! This game is on sale today (on the 29th) for a mere $0.99. Grab it while it’s still on sale! What’s even worse than being trapped on an island... yep, you’ve guessed it – it’s being trapped on a “haunted” island! In this amazing addition to the Redemption Cemetery series, Redemption Cemetery: The Island of the Lost, you find yourself stranded on an island filled with ghosts. The island is ruled over with an iron grip by an evil ghost that’s making it impossible for anyone, dead or alive, to escape from the island... and well, that includes you. Experience a ghostly adventure like no other as you venture through the island in search for the very thing that could defeat the evil ghost and release the poor trapped souls on the island. This game will be on sale tomorrow (on the 30th) for only $0.99, so if you’re interested to buy the game, be sure to set your reminders! #5 Hop Aboard the Haunted Train! Play as Lambert de Ri and join the familiar cast of the Haunted Train series, consisting of Charon, Daniel and Olivia on another thrilling paranormal adventure in Haunted Train: Clashing Worlds. In this game, a lives-claiming supernatural phenomenon has suddenly appeared in Amsterdam and your team is on the case! However, you begin to have weird visions of mysterious figures from another dimension who are scheming and plotting for something huge. Unless you stop them, seeing that you are the only one who can experience these crucial visions, the destruction of the world is definitely sealed. “Train waits for no man”. So, don’t miss Charon’s mystical train, hop aboard now and check out our review of Haunted Train: Clashing Worlds.